Next Trip – Where do you dream of going on your next trip? Where do you dream of going on your next trip? Kaitlyn and I in British Colombia enjoying a “proper” afternoon English tea. I’ve been working in the travel industry for about 6 months now, but I’ve been a traveler and hopeless wanderer for years. I’m quickly learning that though there are many different types of travelers, they all have one thing in common; the desire to get away from life, unplug and enjoy an incredible trip. Here at Next Trip, LLC. we do things a bit differently than your normal travel agency, you see we don’t just plan a generic, impersonal trip, we plan trips catered to you and your wants, desires, food preferences, needs and personality. It’s all about making sure YOU have the best experience you can have. So where are you dreaming of going? Wherever it is, read on for some great tips and input from someone who helps plan dream trips everyday. Don’t sell yourself short – if you dream it, it can probably be planned within your budget. (obviously you can’t go to Europe on $100, but you can go for less than you think). So many times people come to me with a place in mind that they’ve always dreamed of going and immediately say, “I’m sure we can’t afford it.” Realistically, you can work towards planning that dream trip. It may take some saving, some scrimping and someone like me who watches flights and deals all the time, to get make it happen, but it can happen. Maybe this year you do a staycation or something small and next year after saving you go that exotic location? However you need to make it happen, don’t sell yourself short. Life is too short to not go on that dream trip. Be willing to try/do new things. Travel isn’t about living a day in your ordinary life, it’s about living an extraordinary day. Never stayed in an Airbnb? Do it! Never gone on a tour without a tour guide? Do it! Never traveled internationally? Get that passport ready and do it! If you don’t know where to start, hire someone to help. This is not simply a plug for my business, but it truly does help to have someone help you. If the thought of sitting in front of a computer for hours and hours, reading, planning and researching that dream place gives you an anxiety attack, hire someone. It is affordable, it is helpful and we have the experience, connections and knowledge that will help you have the best trip yet. Plus we do this all day, everyday, so it excites us to plan your trip! Last, but certainly not least, GO on that trip! As I said before, life is short. Any of you that know my story, know that my first husband passed away suddenly. When he died, I knew that my and my daughter’s travel time would continue and get amped up. Not only do I only have her at home for a short time, but we know how important travel is and how short life is. You learn new things, try new food, have new experiences, get out of your comfort zone and see this beautiful world! I look forward to hearing about your next trip and I hope you get to enjoy some of the amazing places this world has to offer. Don’t be afraid to travel! Fear is an unpleasant emotion caused by the belief that something is dangerous or threatening. My daughter and I in Canada last summer. The idea for this company came to me while on a trip to Canada. It was one of many trips that I have taken with my daughter. I often get asked if I am afraid of traveling to new places and how I could travel with my daughter alone. My reply quite honestly was that I researched the places we went, where we stayed, what we did and where we eat. Most people simply plan a trip, I plan an experience. I spend countless hours in front of a computer finding the right hotel, Airbnb, or VRBO. I spend even more hours figuring out what I wanted to do on this trip. Where should we go? What was important to us when we traveled there and most importantly how did all of this allow us to have the best experience ever? I also am a single parent living on a budget, so how can I have all of these incredible experiences, while eating at great restaurants, making sure my daughter had fun and stick to a budget? All of this and more is what I’ve done for years and has been a passion of mine. Fear never entered my mind because to me the opposite of fear is knowledge. If you know what you are facing, you have nothing to be afraid of. Now here’s the cool part. What if you don’t have the time, knowledge or ability to sit in front of a computer for hours on end planning that next trip? What if you are a working mom, a single mom, a small business owner, or a teacher with limited time, but you want to make this trip a memorable experience? Well, that’s where we come in. We believe so much in the importance of travel that we spend those countless hours for you. We want you to go into your trip unafraid of what will happen because we’ve prepared you and we are going to be there for you in each part of your journey. I want our clients to be fearless and I want you to wake up in a beautiful destination excited, relaxed and prepared for your next trip. We love what we do and we can’t wait to help you! It’s mid November, cold, and now thanks to Daylight Savings Time, it is ironically dark even earlier than it was a week ago, which has never made any sense to me. I’m sitting with my feet propped up on the ottoman wishing I had built a fire, laptop on my knees, and I’m thinking of booking a small getaway for my four-year-old’s birthday, not only because it is his birthday but because his birthday is on Christmas Eve. That day he was born, as snow floated outside the rectangular hospital window, I observed his perfect little nose and anticipated getting to know this little human with his dad’s eyes and my baby brother’s spirit. At that moment, I promised to always make his birthday special, that he wouldn’t be like other people who hated their holiday birthdays. Since then, we have celebrated his birthday at a cabin where he pretended to be a great explorer in the woods among dying leaves of the southeastern Oklahoma floor. We have celebrated his half birthday at the zoo and let him feed the giraffes, their long, surprisingly black tongues curling around the super bright green leaves, his six month old hand held out in fear and simultaneous excitement. In other words, we have kept our promise to make his birthday unique and something he will be excited about each year, despite the fact that his little brother came 16 months after that Christmas Eve, and life has been hectic in a way only moms who have 2 under 2 truly understand. I look back down at my laptop to see a set of numbers that catches my eye. On the great Wolf Lodge website, there is a 40% discount for those who plan their trip 60 days ahead of time. I start doing the math in my head and realize I’m long past that due date. How do busy families do it? How do they get the deep discounts for booking early when I often don’t even know what we’re having for dinner tonight? I smile to myself when I think about my future though, a future that involves partnering with one of my best friends and best people I know. As Amy and I start this company, Next Trip, we want to be the ones doing the heavy lifting, the ones taking care of you, the ones scouring the website for those deep discounts, the ones who give you the insider tips on the best hotels, restaurants, and experiences. We want for you to climb in a car, catch a plane, board a train, steer a boat, or take advantage of any other mode of transportation you’ve ever dreamed of and not think about anything except how much fun you’re having. 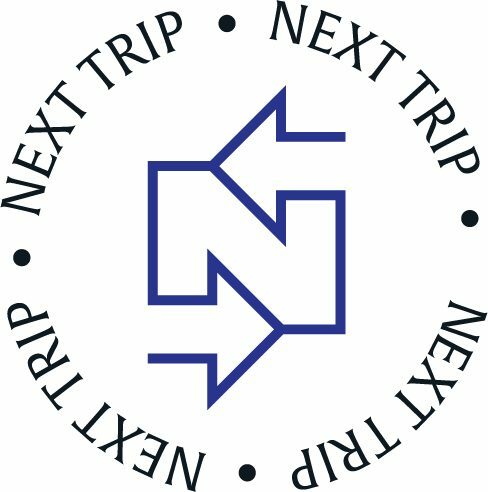 Whether you are a single mom who has not traveled since your child was born, a family of 10 that needs to be particularly budget conscious, or a couple that needs some time away from busy jobs to create memories, Next Trip wants to be your first thought in planning your getaway. Let us take you places you never knew you wanted to go. When I look at this spa picture of Jennifer and I, all I can feel is relaxation and envy. Envy of that day where I literally had no worries. I was relaxed. I was carefree. I was having fun. I was in paradise and I was enjoying it with one of the most genuine souls I have the privilege of knowing. I travel a lot. More than most people and I don’t do it because I have to or am required to, I do it because I want to. I enjoy new places, new experiences, new views and the feeling that you get when you have the honor of visiting a new place. I’ve always been a little this way. I never understood why or where this hopeless wanderer came from. Maybe it is genetic? Maybe it was the fact that we moved a lot when I was young? Whatever the reason and wherever this wanderer came from, it definitely is who I am. When I met my late husband, he had never been on a plane. He rarely traveled and had seen very little of the world. Fortunately, for this hopeless wanderer, he quickly learned he loved to travel as well. In our 15+ years together, we traveled often. We experienced more than most do in a lifetime. Sometimes, we made other sacrifices financially just so we could travel. When we had our daughter, we continued to travel and as a family of three, we were able to go more places than most. When Darren died suddenly at 42, I had many choices to make. One of these choices was would I continue to travel or would I let this passion die? I quickly determined that my hopeless wanderer of a child and her even bigger wanderer of a mom needed travel, so, we have. We haven’t stopped traveling. We don’t travel to run away, but we travel to run towards new experiences, new foods, new cultures and to remember that our lives aren’t over. We carry on Darren’s love of travel and we find those moments on each trip, where we reflect on what he would have enjoyed about the place we are visiting, the food we are eating or the new culture we are learning about. A few months ago during a trip to Canada, I had a moment of realization. Why couldn’t I make our love of travel part of our future and my career? Why couldn’t I translate this passion into something more? You see, I love planning trips, not just for me, but for friends and family. I’m always having people tell me they would love to travel more, but they have no idea where to start or even if they could afford a trip. I usually pass on some websites or apps I use, help them get started in their planning and encourage them to go on that next trip and be fearless. In my moment of realization, I thought back on all these encounters and realized I could really use my experience to help others to find joy in travel and experience this beautiful world we live in. So, that takes me to this moment in Mexico with my beautiful, genuine friend Jennifer. You see, she loves to travel as much as I do. After almost 14 years of friendship, we are now embarking on a new journey. A journey of taking our experience, passion and love of travel and sharing it with those around us. We want to help others to be fearless in travel by providing the ultimate travel service. We want to help you each step of the way as you plan your next trip. We want to make travel affordable, fun and hassle free. We want your next trip, whether it is a road trip, girls trip, honeymoon or dream trip around the world, to be the best trip ever. We want to help you and plan your trip like it was our own trip. We will be sharing more soon, but we would love for you to come along with us on this journey and discover why we travel and why you should too!